Manila,2017 – Get on the metallic lip trend with the collection that has everyone obsessed. Straight from the runways of Paris Fashion Week, L’Oréal Makeup Designer/Paris brings an opulent collection of lipsticks infused with real 24-karat gold – COLOR RICHE GOLD OBSESSION. Put a bold twist on your night-out look with this collection of wearable metallics that will make you feel instantly sophisticated and confident. 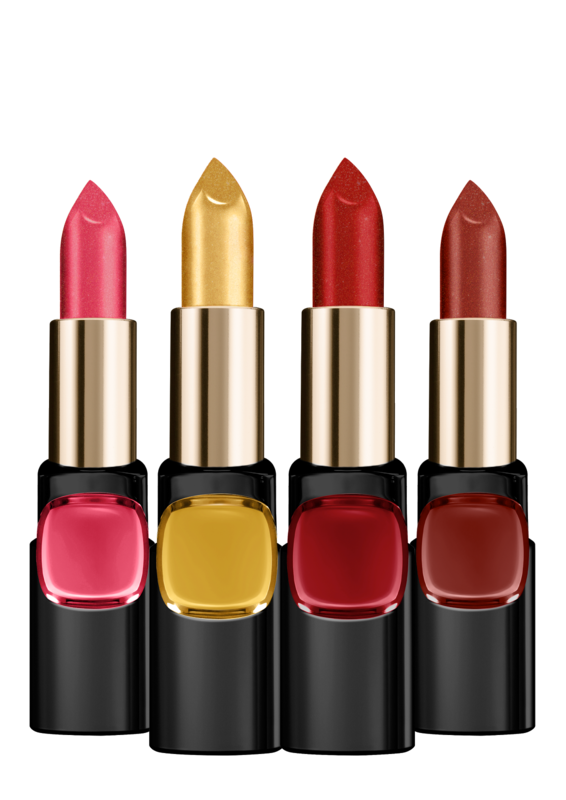 COLOR RICHE GOLD OBSESSION offers four sophisticated shades with real 24-karat gold that gives a metallic sheen and subtle dimension on the lips. Pulling off metallic lipsticks has definitely become more effortless with this collection’s wearable shade selection: pure gold, mocha brown, rose pink, and classic red that complements Filipina skin tones. Be bold and go for pure gold with Color Riche Gold Obsession in Le Gold to add that extra oomph in your look. This shade can be worn in two ways: on top of another lipstick shade as a highlighter that creates subtle dimension, or all-out gold if you want your pout do all the talking. For all skin tones, you'll never go wrong with Color Riche Gold Obsession in Rouge Gold. Tjhis classic red shade with metallic gold dusting is a sure head turner, with its statement bold color and a touch of shimmer. For morena skintones, go for Color Riche Gold Obsession in Mocha Gold. Indulge in this sophisticated deep brown with a gold sheen that's sure to catch attention with its bold color and subtle metallic dimension. For fair skin tones, go for Color Riche Gold Obsession in Rose Gold. This cool pink shade with the hint of gold will brighten up your skin tone and make you look fun and fierce at the same time. That Gold lipstick is really unique..out of the comfort zone of any lippie junkie. Something different to try. I saw a lot a reviews about that, maganda tlga sya and worth to buy for yourself, a perfect gift for yourself through all the hard works you've done each day madam. I havent tried this one yet, my bet for me is Mocha Gold shade since I do not have a lip shade like this. Curious how it looks like on actial, if there will be visible specks of gold when applied. I remember a pretty stannic shades also, i cant remember the name if it is Matte Me.